We're available 24/7 for all your plumbing and heating needs. Same day service, and free estimates are available for your convenience. Fast & friendly service available 24/7! Plumbing, heating, and drain cleaning problems are stressful, and even more so when the repair team you called is nowhere in sight. If you need fast and friendly service, get in touch with Gatti Plumbing, Heating & Drain Cleaning. Our professional team responds quickly, arrives on schedule, and can complete the job correctly in no time. Whether you have a plumbing emergency like a burst pipe, a clogged drain or you need routine maintenance work for your heater, our expert team works with full attention to detail and your 100% satisfaction in mind. We are also on-call 24/7 for all your plumbing, heating or drain cleaning emergency. Gatti Plumbing, Heating & Drain Cleaning is composed of professionally trained technicians who are all committed to striving for perfection. We love challenges and are proud to have successfully tackled system issues that other companies have deemed irreparable. With our fully stocked and GPS-ready fleet, our team can deliver the most reasonably priced and lasting plumbing, heating, and drain cleaning solutions for your home or business. Get your systems back on track with the help of Gatti Plumbing, Heating & Drain Cleaning. Contact us now at (201) 365-7444 to request a service. We get the job done right the first time around! We're Here for You, Day or Night! Our local plumbing, drain cleaning, and heating service company is conveniently located in Madison but we serve all of North and Central New Jersey. From residential to commercial and industrial properties including specialized facilities, we have the manpower, skills, and equipment to handle all your needs. 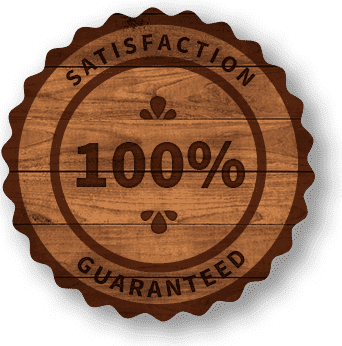 We even stand behind our work with a 100% satisfaction guarantee. Contact us now at (201) 365-7444 and get the peace of mind you deserve! Why Choose Gatti Plumbing, Heating & Drain Cleaning?